We talked a few weeks ago about putting joy back in the holidays. One of those items was to decorate. You knew I’d come back to this one. Grab the kids and hang some garland or make an advent calendar. I've made you a couple of decorating cheat sheets in case you aren't inspired yet. Want to go bright? I’ve got you covered. Want to keep it mellow? I’ve got that too. Need help finding somethings to make your house festive? I’m ready to help! 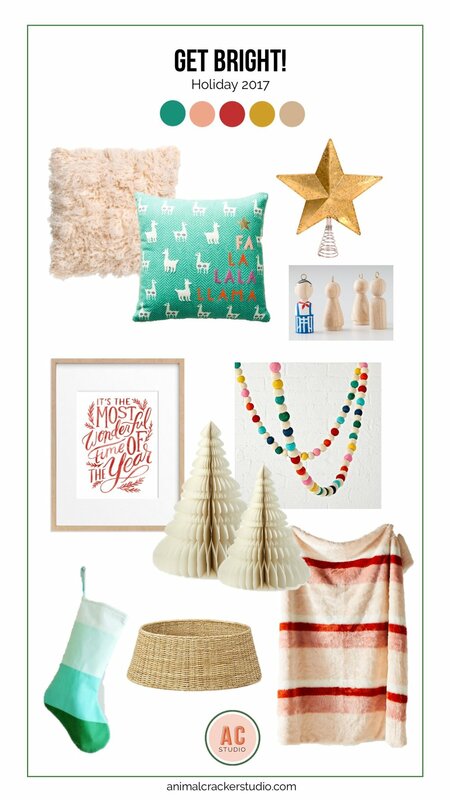 Sources (ditto the comment about affiliate links above): Woods print, calm and bright pillow, glitterati pillow, advent calendar, tree skirt, knit stocking, glass trees, tree topper, star garland.